Well the short version is: I enjoyed it. It’s intense action and FX, cool stunts, visually beautiful, and it is cool to see Robert Redford and Jenny Agutter. They really tread the line between super action, strong themes and humor. I had a moment or two of confusion about the story at the very beginning, but that all resolved later. There are hints at characters’ backgrounds, while the filmmakers reveal deep and affectionate understanding of the canon. I liked Stan Lee’s usual cameo, but I’m slightly bemused by this rather cheery, loquacious and witty Black Widow. She’s still a badass! All the ladies are. 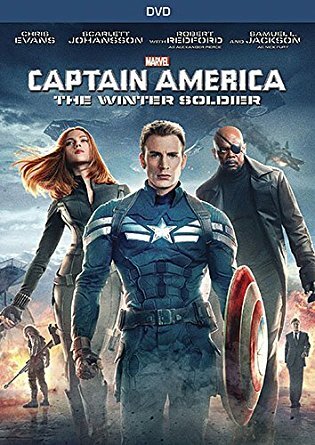 Now whether Marvel fans will be enthused by the Big Twist at the end, a twist that will send ripples throughout the Avengers universe (spoilers on that link but enjoyable references), including on to the small screen…time will tell. I like reinvention, and there is a long tradition in the comics world of doing serious world-wide reboots, when the canon gets unwieldy. It’s not unlike Star Trek’s recent alternate time stream world destroying (now we never have worry about consistency) schism. Stay to the very, very end of the credits, for not one but two epilogue/previews featuring Marvel characters my daughter immediately knew. Always something to look forward to, and a ton of people being employed. Look for some fine, subtle makeup, very cool cars and the usual henchmen who have bad aim. But the visceral stuff of the motion and stunts is exciting. 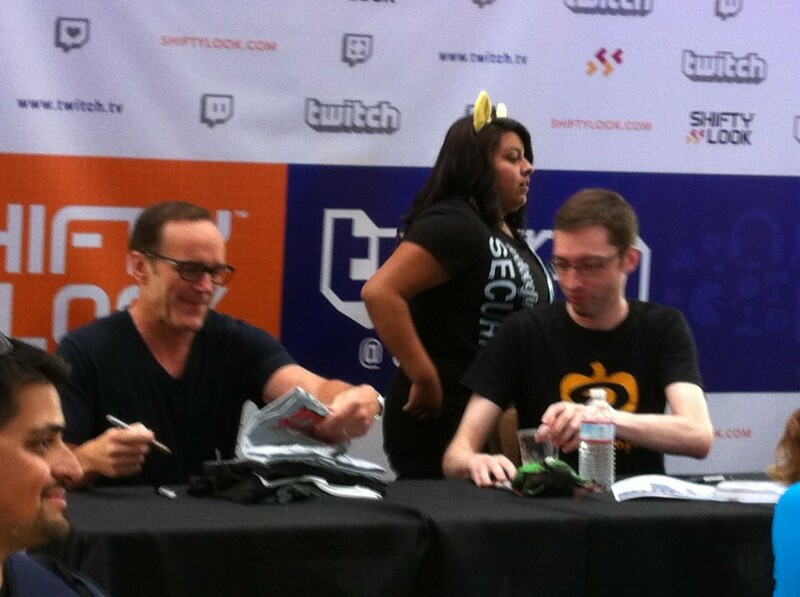 I did miss Coulson though. Clark Gregg joined Homestuck creator Andrew Hussie for autographs at an event adjacent to Comic-Con 2013, and I was there.